Modeling can make one a bit peckish. Burger King was out of paper crowns. Imagine my disappointment. 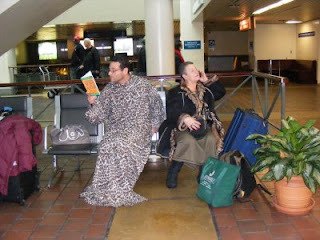 Share Your Snuggie Stories & Pics! Do you have a Snuggie story to tell? Pics? Don't keep 'em to yourself—share them with us! Dog Snuggies, yes or no? 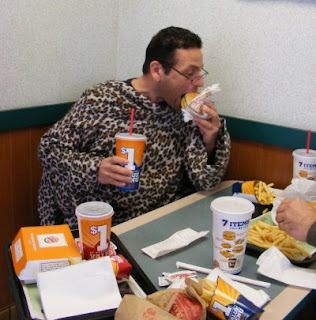 The author of this blog is in no way affiliated with or employed by the makers of Snuggie. Unless stated otherwise, the words and artwork on this blog are my own. Please ask before borrowing.